I’ve been married for a mere 3 years, and since then have been a key figure in a house- as in, being one of the the responsible ones. There is something I didn’t realise however when I got married. And I need you all to know this if you are getting married, or taking on being responsible in a house. Signing my marriage certificate was also signing an invisible contract saying that I should also know about all things DIY. The same goes for any contract of house ownership that you sign. 1. Cracks. Are they dangerous? Will my ceiling collapse? I know I can’t ask a plumber about them, but who do I ask?! 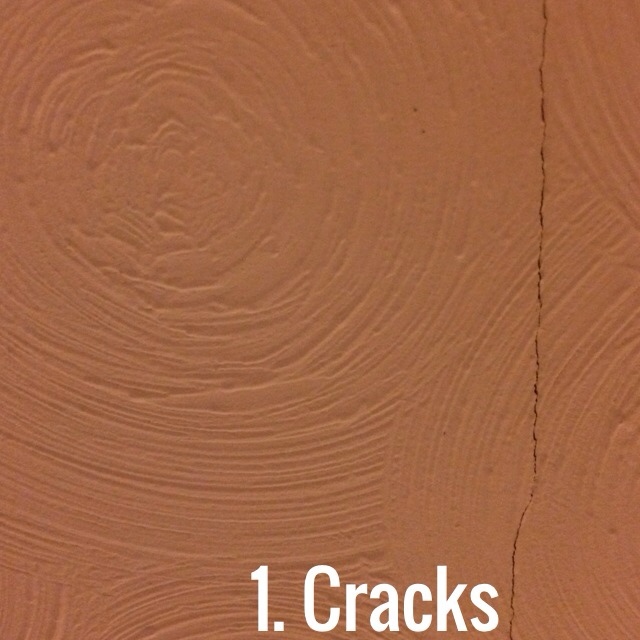 A crack man? Sounds like something to do with narcotics rather than an expert telling me if the house will fall down or not. 2. 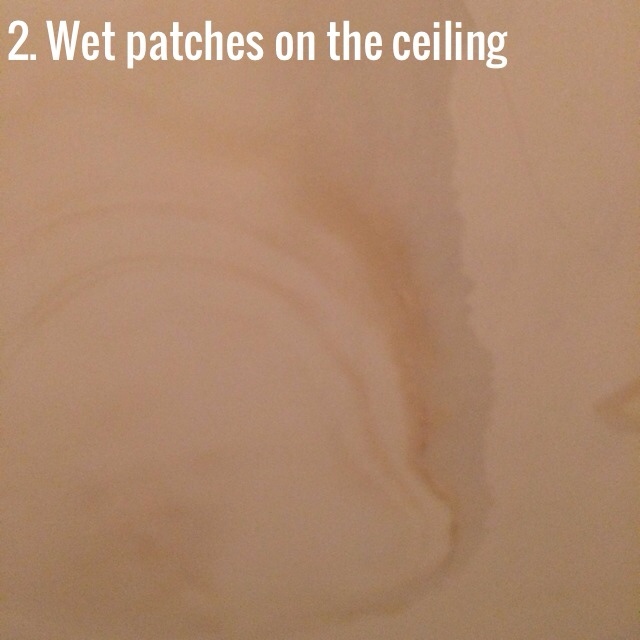 Wet patches on the ceiling. OK I kinda had to figure this one out quick before the house collapsed, but it took me a while, and weeks layer I’m just hoping it’s sorted itself out. 3. 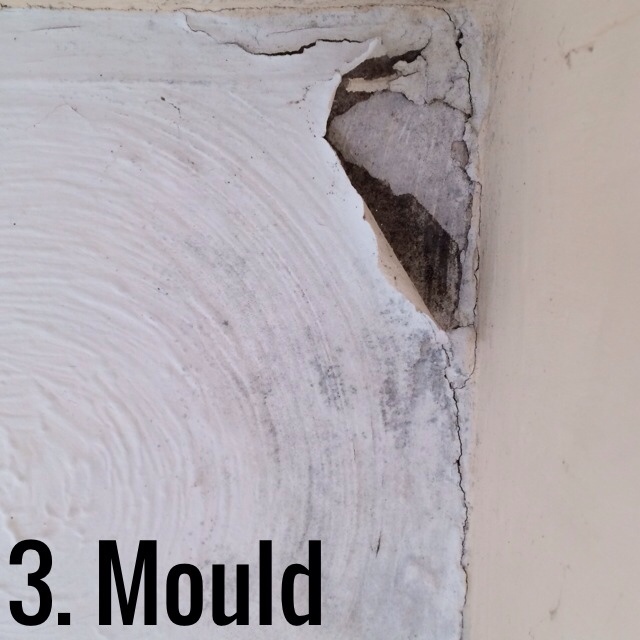 Mould. When our bread gets mouldy I just chuck it out. I can’t do that with a corner of a room. So I’m stuck. 4. 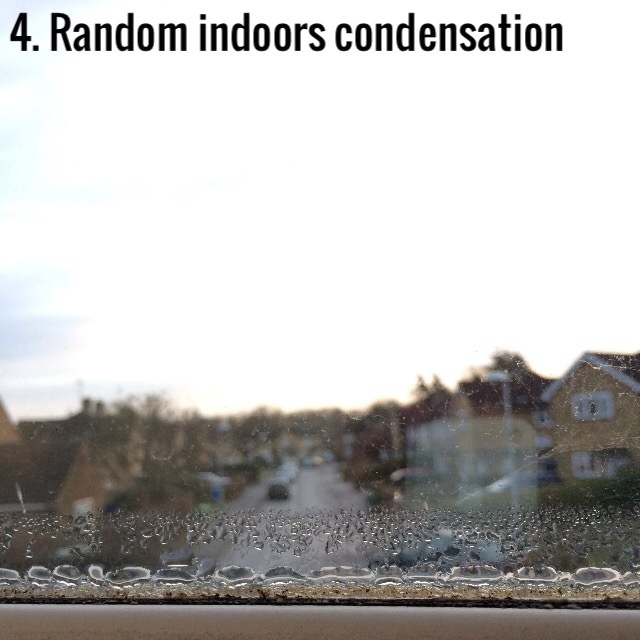 Random Indoors Condensation. Do we need more heat in the house? Or less? Or thicker curtains? Or has somebody been chucking water around our house in the middle of the night while we sleep? 5. 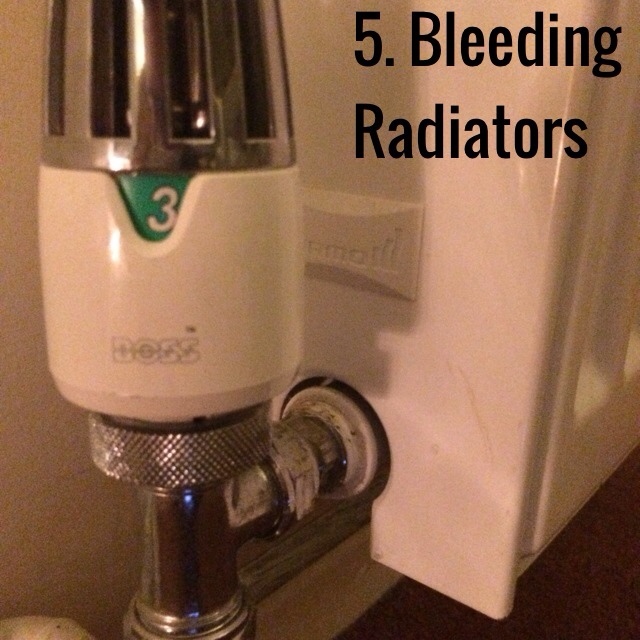 Bleeding Radiators. That’s an action to do, as well as what I say when they make weird noises. But this task does sound incredibly manly, if only I knew how to do it effectively, and the reason for doing it. 6. Doors that don’t open. Do you scrape away the ‘extra’ wood? Or Barge it open everytime you use it? Last year I broke open our front door with my shoulder and smashed the lock up. Not so great when you’re hoping for a secure house. Oops. 7. This Thing. I have no idea what it is, but life is continuing whilst it’s around, so it must have some kind of purpose?! 8. 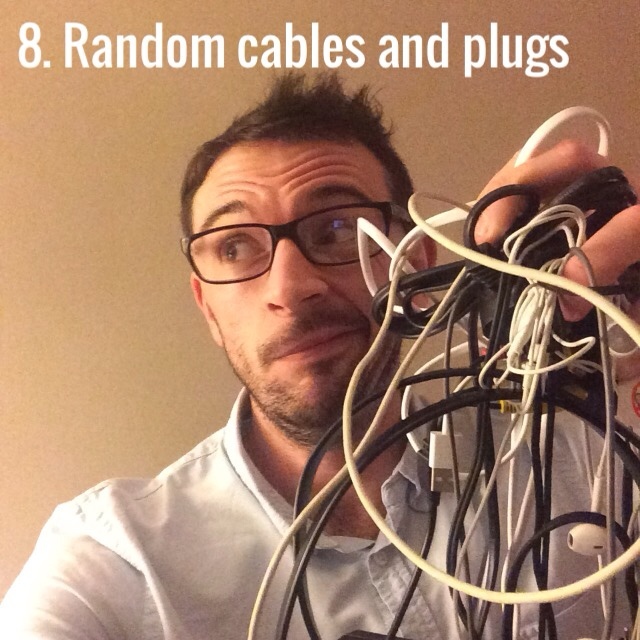 Random Cables & plugs. So many wires. 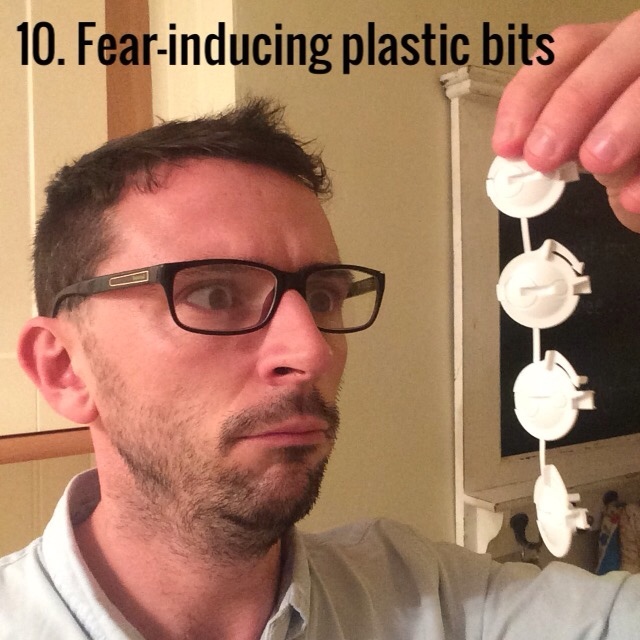 So much fear to throw any of them away. They’ll be useful one day. Maybe. 9. 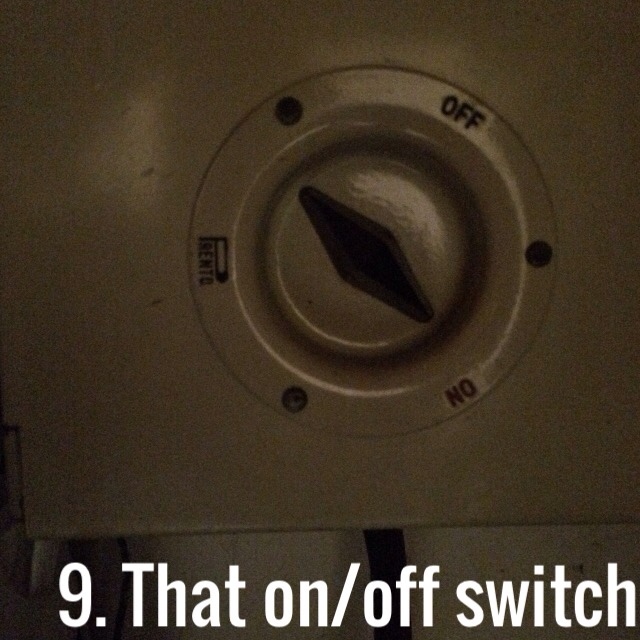 That On/Off Switch. 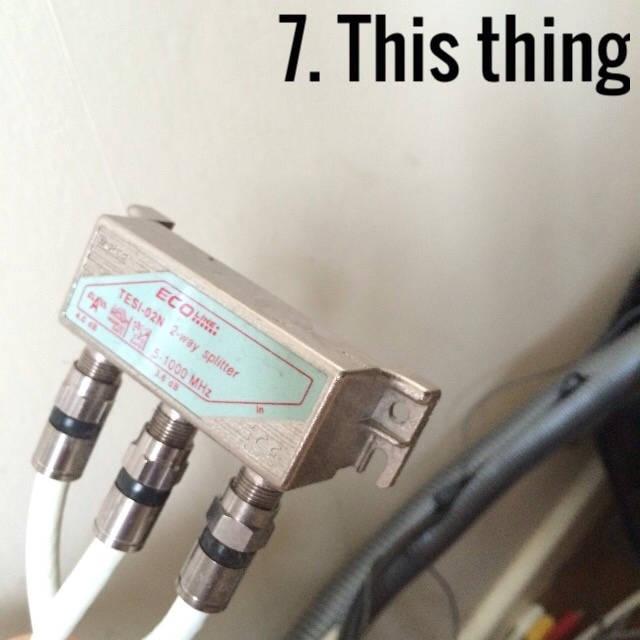 We’ve all got one in our houses, hidden away in the darkness of a mysterious cupboard. But what does it do? It has something to do with electrics I know that. Will the house blow up if I flick it? This looks as simple as a child’s toy, but will be as destructive as a petrol bomb if used incorrectly. Oh DIY, how I loathe thee, but you are cheaper than those people who come round and sort stuff out in 5 minutes yet charge £80 for the privilege. ← My favourite part of 2014.